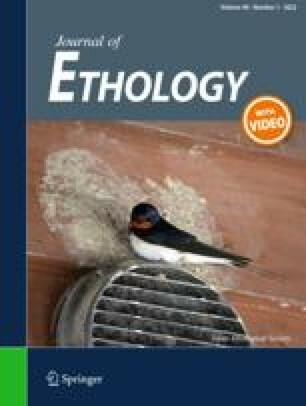 Observations were made on the activities of workers of the Oriental hornetVespa orientalis, during flight to and from the nest, on fully active days in months of maximal colony activities. Two types of flight out of the nest were recorded: flight for removal of dug-up soil and flight for foraging of buiding materials and food from the field. The flights of digger workers occur and peak around 1200, (with even slopes down to zero on both sides of the peak). The flight activity curve is gaussian and in accordance with the intensity of solar irradiation. Flight activities of foraging workers are limited in the morning hours but subsequently increase, the curve resembling that of the air temperature at 2m above the soil surface. The flight rhythm of digger hornets in the presence of 2 adjacent outles and the rhythm of activity of digger hornets of 2 abutting nests were also investigated. The results indicate a strong competition among the diggers for flight opportunity during periods of highest insolation intensity. Due to the correlation between the flight of digger hornets and the intensity of sun radiation, it is assumed that hornets do make use of solar energy for flight purposes.